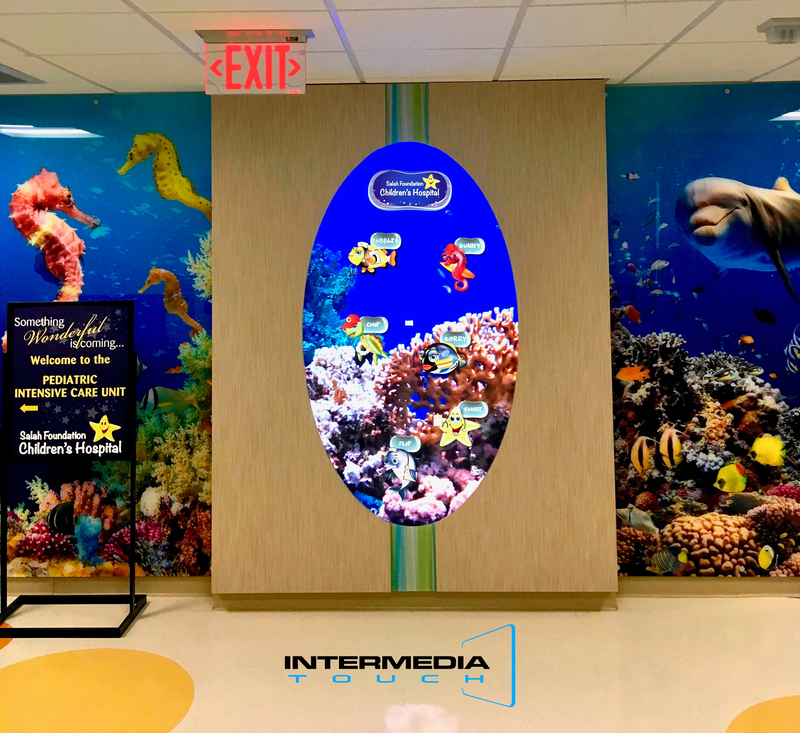 Home » Portfolios » Broward Health and Salah Foundation Children’s Hospital elects Intermedia Touch to create a Digital Interactive Aquarium Experience to engage and entertain children. 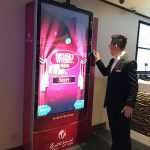 The Salah Foundation Children’s Hospital wanted to create a unique experience by making use of the latest interactive technology, allowing children in the hospital to engage with an application that is interactive and fun. 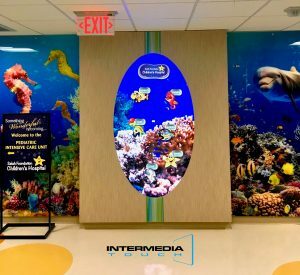 Intermedia Touch, a leader in digital signage, custom interactive applications, and multimedia solutions, is thrilled to announce that the company has provided an innovative solution in the healthcare sector, as it successfully installs a digital signage solution for the entertainment of children and their families during their time, at the Salah Foundation Children’s Hospital. The Interactive Aquarium concept begins with multiple interactive displays where guests can create their creature “sea friend,” assign them a costume and name them. Once created their friend is sent down the hallway to the Blue Lagoon. The Blue Lagoon is a massive 80” display where the guests can view the “sea friend” they created in a digital aquarium alongside other “sea friends.” Also, to enhance the experience, guests have the option to email their “sea friend” to themselves to share on social media with friends and family. 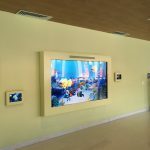 The Aquarium project is a small part of the renovation taking place at Salah Foundation Children’s Hospital but, it is an integral part of adding to the guest experience.